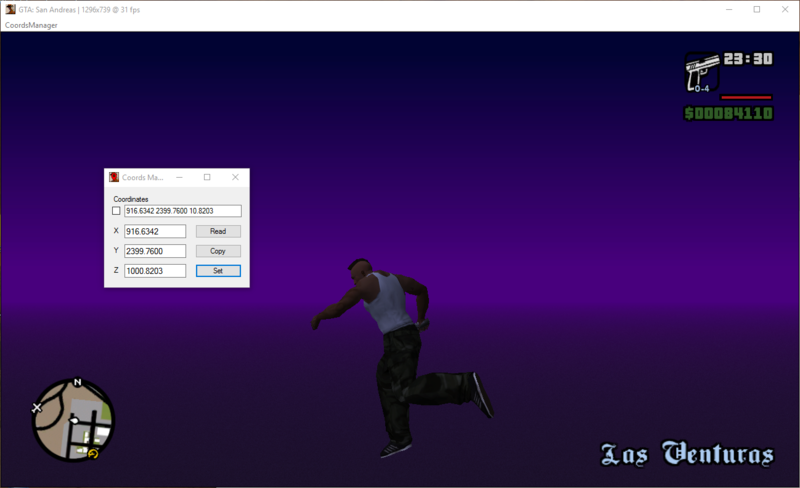 Originally created by maxorator as part of Maxo's Vehicle Loader for Vice City, this plugin starts the game in windowed mode. 1. ASI Loader is required. If you don't have it, just install Widescreen Fix, ASI Loader comes with it. 2. Unpack III.VC.SA.WindowedMode.asi and (optionally) III.VC.SA.CoordsManager.exe to scripts folder, or modloader folder. * If SilentPatch is installed, you won't be able to move mouse cursor while in-game. Enter main menu before activating mouse cursor. * In San Andreas, mouse cursor is not visible. 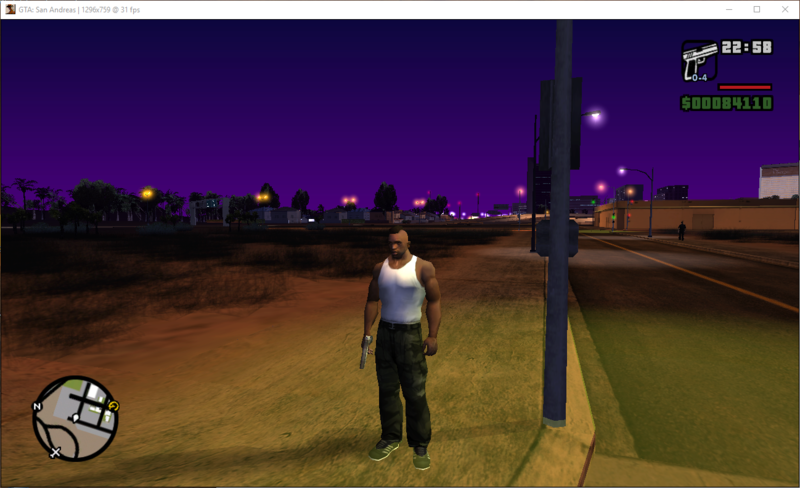 This is best windowed mod ever. It just works™ and even has teleporter! How can you say no to this? Let's see if the moonphases worked in SA Windows Mode. avast blocks zip asi for whatever reason, could you try looking into it? Oops, you read my mind? Thanks for this. I don't know what to do even. Looks fine on VT.
Oh wow! I cant check it out now, but I wonder if SA intros work in borderless fullscreen with in-game AA on. They do, you could have SA windowed borderless for quite long time with universal asi loader. I remember I had some problems with it back then. But no details, sorry. Anyway that is good to know. Thanks! Well intros are OK, thats cool! Unhandled exception at 0x6B744586 in d3d9.dll (+0x24586): 0xC0000005: Access violation reading location 0x00000024. Crash stops if I remove this or skygfx. I havent found any settings in skygfx that could cause this. I don't know if is so much if you can do a version without the coords manager since I didn't install it and it's annoying toggle the menu to off everytime I start the game, I hope this doesn't bother you. Actually these settings are stored in the ini, so once you pressed Shift-Enter and hid the menu, it shouldn't appear at startup next time. Ini? 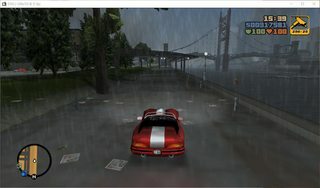 It seems I don't have any ini related to this mod on my game folder (In this case GTA III), how is supposed to be the name of the ini file? It will be created as soon as you press Shift-Enter or Ctrl-Enter. Should be created at the same folder where you placed the plugin. Well, I tried already and I don't have any ini. Can you share your ini file? Looks like noone else has problems with it. Please, I still want to know your thoughts about it. If this error tells you something, can you at least point me where to look for a possible cause? Should I contact The Hero? Also. I forced V-sync everywhere but in borderless fullscreen I'm getting very strong tearing Can something be done with it? I'll take a look later at this crash. Thanks, now works flawless. No idea why the ini didn't get created on my game installation. I can confirm that changing colorFilter to either 1 or 3 works around the crash. 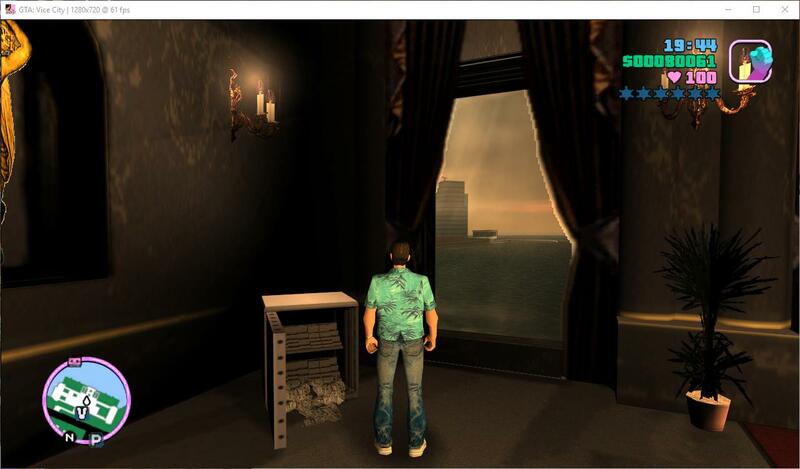 Options 0 (PS2 colorfilter) and 2 (Mobile-attempt colorfilter) crash the game in combination with this windowed mode mod. Great mod anyways. It's quite possible skygfx is making some invalid assumptions too, might not be a bug of this mod. Is working fine on my side, with all PS2 settings using this script. Vice City throws unhandled exceptions seemingly at random with this mod as demonstrated in this video (I also show the other scripts that I have installed). Edit: Never mind. The wndmode.ini method works perfectly. That plugin is incompatible with trainers: GTASA control center, GTA3 console, GTAVC console, although to use them would be more convenient it is in window mode.